For all of your South Jordan landscape materials delivery needs – including top soil, mulch, gravel and compost – The Dirt Bag has just what you need, at a price you can’t help but love. The Dirt Bag is northern Utah’s locally owned and operated supplier of landscaping materials, delivered to the location of your choice. You can choose bulk delivery or you can go with our most popular option: our most popular products delivered to your door in convenient, reusable one-cubic-yard bags. And, back by popular demand, we also offer our exclusive Kentucky Bluegrass native sod for pickup or delivery to your South Jordan location of choice. Whether you need a lot or a little, trust The Dirt Bag for all your soil, sod and landscape products needs. Homeowners and business owners alike trust The Dirt Bag for bulk landscape materials delivery in South Jordan, Utah. Our affordable, high-quality products include gravel, play sand, bark, mulch, topsoil and garden soil. Purchase in bulk by the cubic-yard and we will deliver directly to the location of your choice. You won’t beat our landscaping products prices and our minimal delivery charges make it convenient and affordable to get your projects done on your schedule. For your smaller projects, The Dirt Bag offers free delivery in South Jordan of all our bagged landscaping materials. The perennial favorite – our organic Garden Soil Plus – is just one of the many options you can choose from. 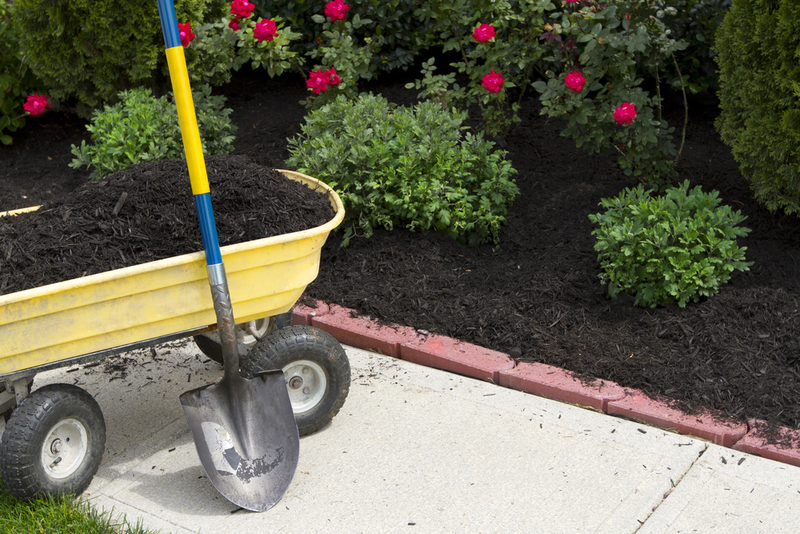 You can also order bagged landscaping materials such as black and brown mulch, shredded bark, organic compost, wood chips, play sand, soil conditioner and screened topsoil. No matter which products you choose, you can use our convenient online ordering or simply give us a call and we’ll have your items scheduled for delivery in a matter of moments. Our signature reusable bags are sturdy and resealable, perfect for use around the home. Or, if you prefer to recycle them with us, bring them in (clean and in good condition, of course) and we’ll even give you a rebate. You may not realize it but The Dirt Bag is not just about affordable landscape materials. We also offer our exclusive Kentucky Bluegrass sod, cultivated specifically for use in northern Utah. We can deliver your sod with a minimum order of four pallets (approximately 2,100 square feet) or you can place your order with us and pick it up from our yard. Order 10,000 square feet or more of sod and we’ll even deliver it for free to your South Jordan location – or anywhere within Salt Lake County. You can count on The Dirt Bag for all your landscaping materials needs. Visit our secure website today or give us a call to place your order for sod, bagged or bulk soil, mulch, gravel, sand, compost and more.